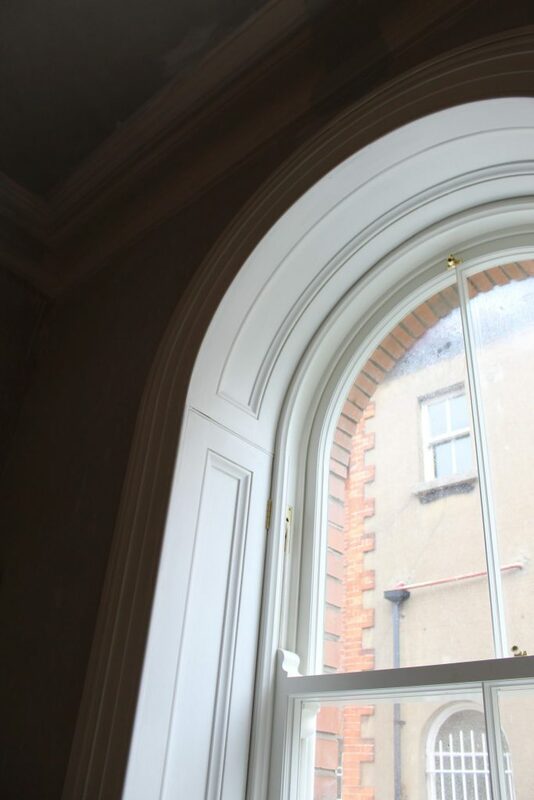 Conor described the shutters, architraves and panels before we arrived at the Dublin home that was being refurbished with every attention to detail. He told me how carefully he took the measurements before the mouldings were made in the joinery in Trim. I was not expecting to be so impressed by the details when we arrived at the house. “Elegance is the only beauty that never fades” Audrey Hepburn. 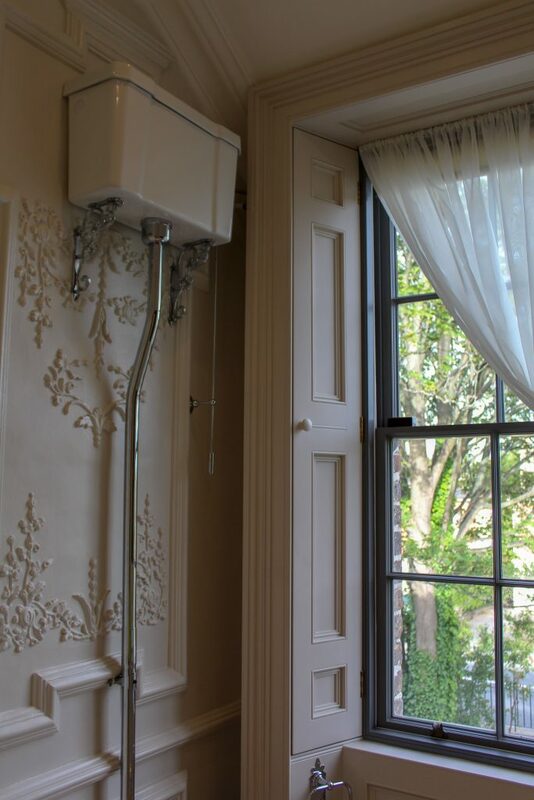 In the 18th century and early 19th century wooden window shutters and mouldings were among the principal decorative elements in the home. Not only were they beautiful but they also enhanced living standards to improve warmth, security and privacy. 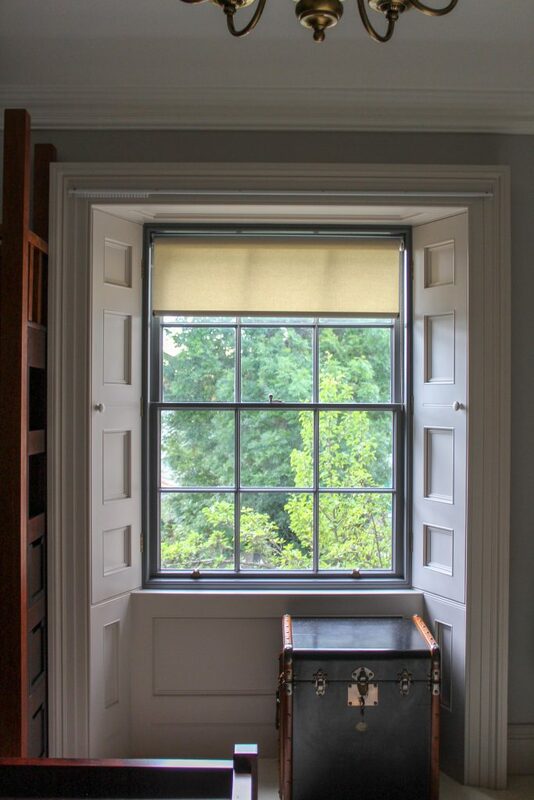 The repair and restoration of traditional windows often requires similar work on the shutters, architraves and panels. In many cases, clients want to create a new home that retains the design symmetry of previous eras and include new elegant elements of classical architecture. 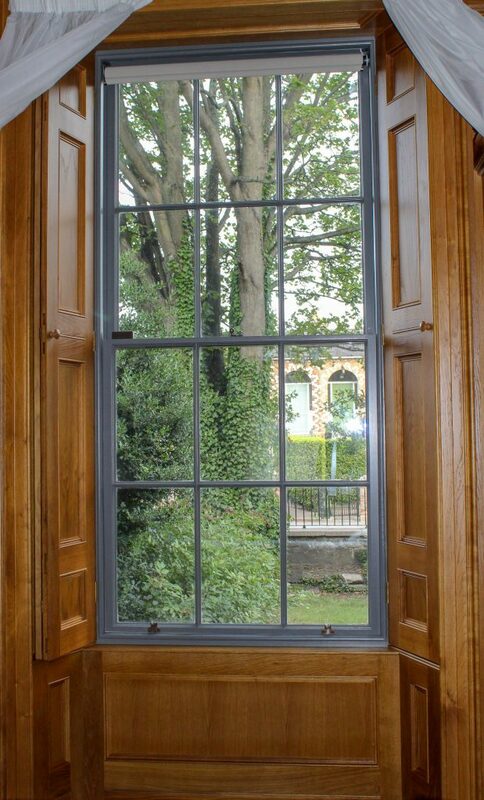 At Timeless Sash Windows we can recreate or repair shutters, architraves, mouldings and panel details in window surrounds and doors. This article explains the history and showcases some options that are available to inspire you. 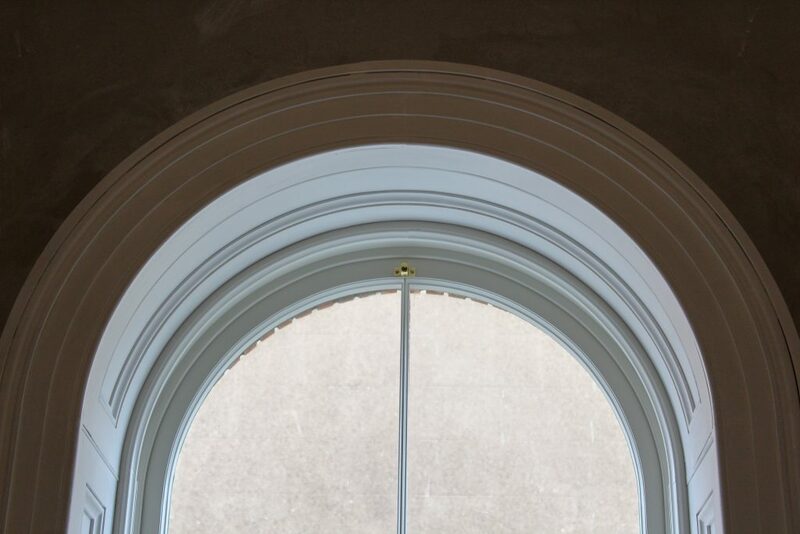 Architraves are traditionally a feature of classical architecture – stemming from early designs in Greece and Italy. 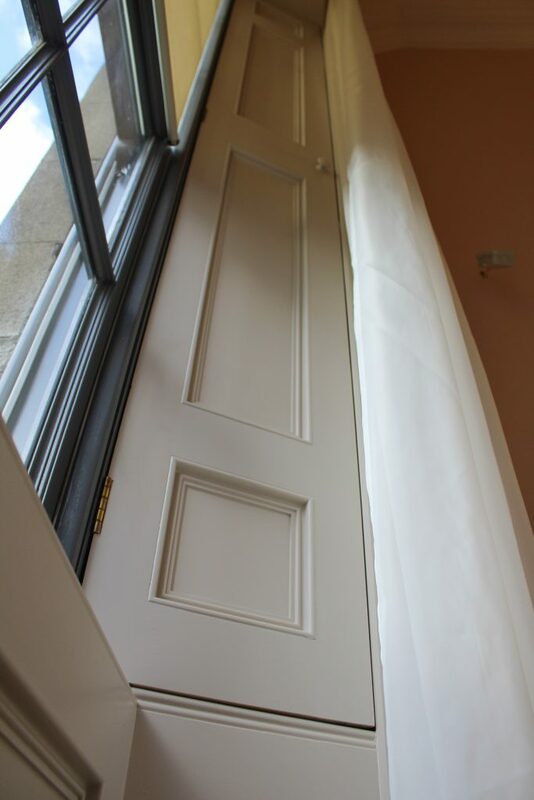 Architraves are the mouldings at the top of a door or window where the horizontal head joins the vertical parts. They also continue down the sides of the windows and doors hiding the gap in the wall lining and the frame. Interior timber shutters are most common in Georgian homes, from the 18th and 19th centuries. Later as curtains were becoming more fashionable they reduced the need for the shutters. These shutters folded into the architraves. The number of leaves depends on the size of the window, often there are 2 leaves with panels and the one extra leaf is plain. The shutters are held closed by an iron bar. In the 18th century the raised fielded panel featured heavily in design. This takes skilled craftmanship to create. Later in the 19th century, plain recessed panels and flush panels were introduced. Here is a selection of images from windows, shutters and architraves that we have refurbished recently. You will notice the difference in the number and size of the panels. 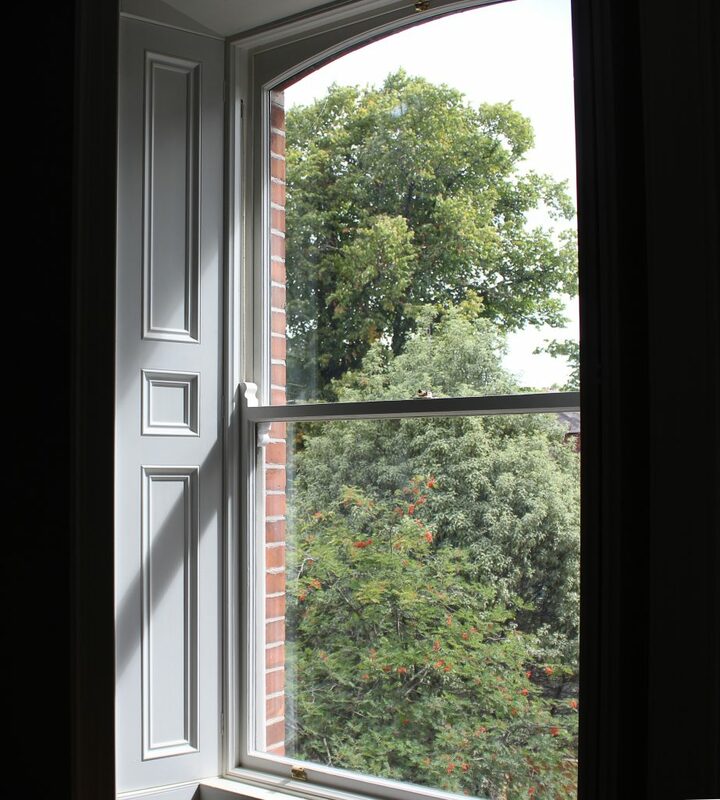 If you would like to discover more about the options available to you for new shutters or for the refurbishment of your current ones, contact us on 046-9023323. You can view our brochure through the website here and watch videos about how we work.